Welcome naturally Curly, Wavy and Super Curly Women! Our salon is proud to offer a range of services that nurture curly hair. We are the first and only curly hair salon in this region. When you visit us for your curly, wavy or super curly hair, not only will we encourage you to embrace and celebrate your authentic hair texture- we will teach you the fundamentals of daily hair care and styling. We use our own method, the KOZMA CURL METHOD. We have developed this method over many years of research, experimenting, and talking with the curly community. We have travelled the world and studied curly hair up close and personal. 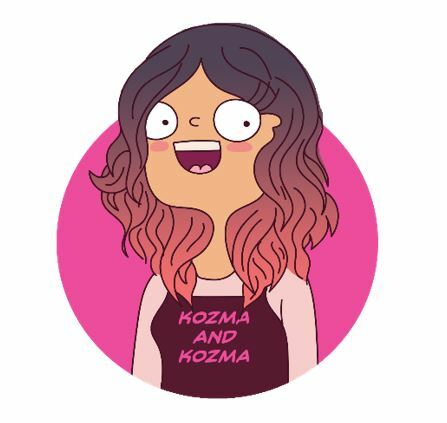 We have combined that knowledge and experience with our own techniques to create the Kozma Curl Method. Curly hair demands to be treated differently than straight hair. 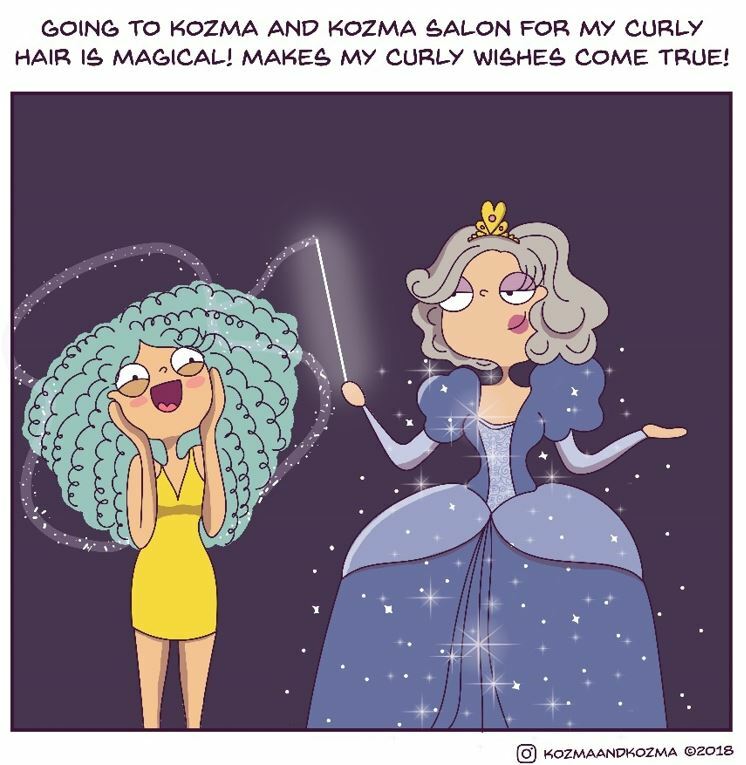 Therefore, every stylist in our salon has undergone extensive curly training at our Kozma Curl Academy. 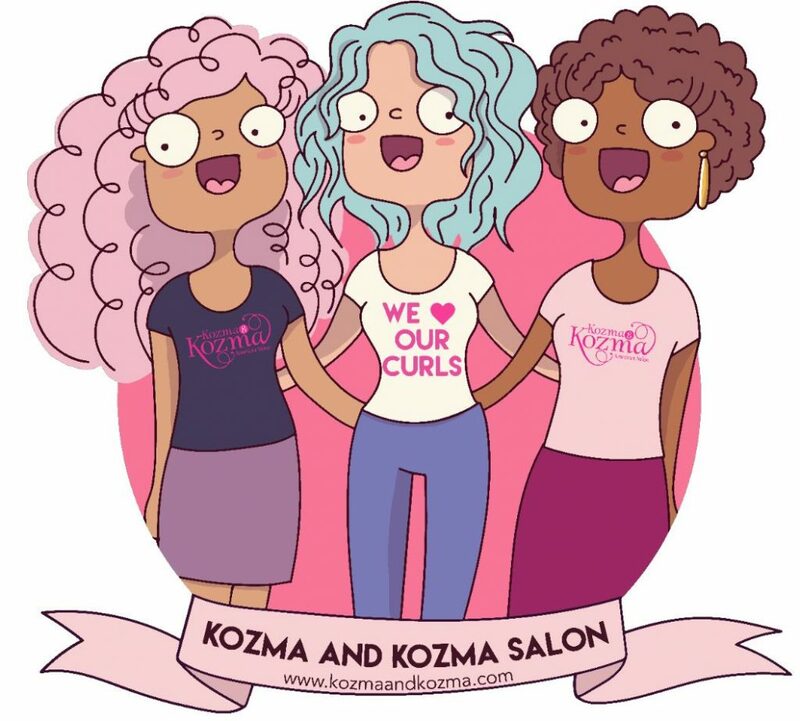 We provide each stylist with the knowledge and skill set in able to expertly cut, color, style and care for your curly hair- the Kozma Curl Method way. This is a website page (and hair salon) dedicated to everything curly. Make sure you read down to the bottom of the page. We will teach you the Do’s and the Don’ts of working with (not against!) your curly hair. In this lesson, we hydrate and style your curls for you, providing a demonstration. Our method of working with curly hair is revolutionary and completely different than your mainstream “Just Scrunch With A Diffuser”. Allow us to educate you on everything you never knew about your curls- it might just change your life! 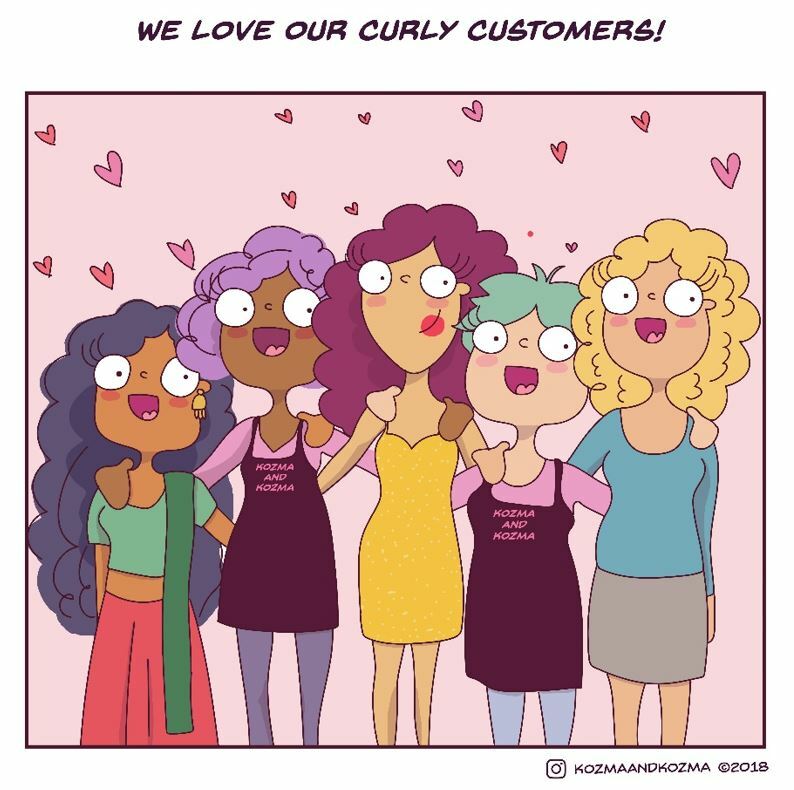 You have already been our curly customer, and have received the lesson. Now you would like to have your curls beautifully hydrated and styled. Come in to just receive the hydration and style, or add it on to any hair service. Please note, this may only be booked after you have had a curly lesson. Curly hair demands a different approach, and with the right curly cut, your hair can be breathtakingly beautiful. 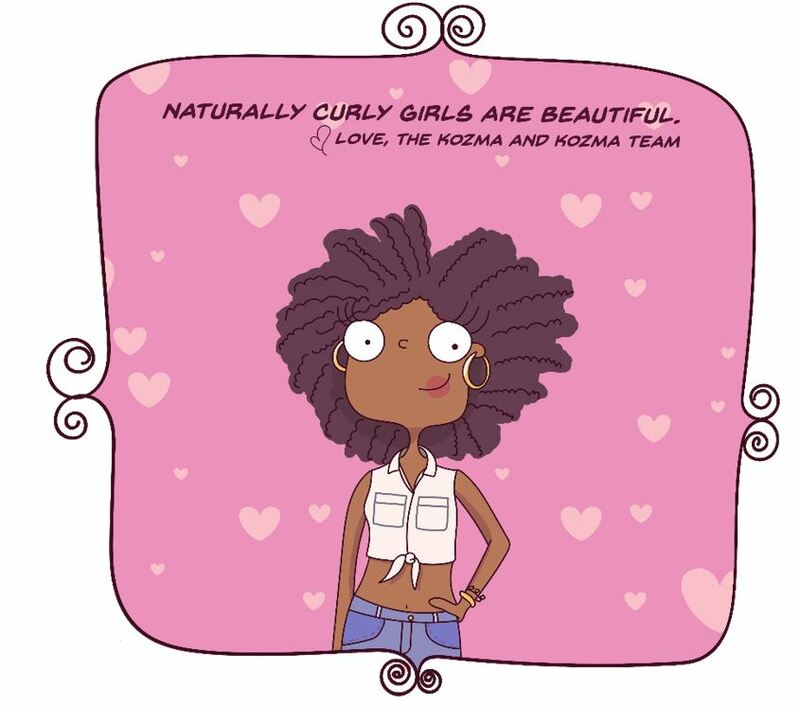 Our qualified stylists have been trained to cut curly hair, the Kozma Curl Method way. We have developed several approaches to the proper cutting technique based on your personal preferences and curl type. The Curly Cut begins with a careful consultation with your stylist, where we will determine the best plan of action- a dry cut or a wet cut. 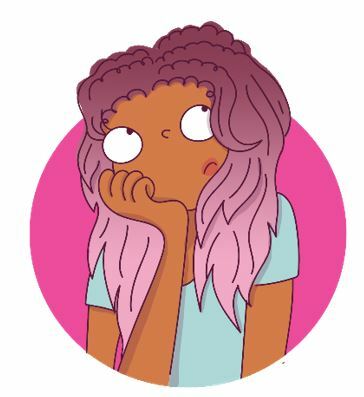 The first question you will be asked is whether or not you wear your hair only its curly state or do you like to change it by wearing it straight sometimes? We offer two options of curly cutting, that way we can tailor our techniques to your specific needs. The first is a dry cutting technique, and is our award winning and revolutionary method for cutting curly hair. The hair is cut dry, and we cut the hair in it’s natural form, curl by curl. This is the most ideal technique, if curly hair is cut wet, the spring factor will be manipulated, and misinterpreted. This unique form of cutting allows the stylists to sculpt each client’s hair, according to their individual look, curl formation, and style. We preserve the integrity of each curl. The second option of curly cutting is wet cutting. This allows the clients more options, such as wearing hair straight and is ideal for clients who cannot commit to wearing hair curly 100% of the time. Includes hydration. We finish with an intense self-care curl lesson to take your amazing curls beyond the salon. Please note that curly cutting takes time. We cut curl by curl. Please allow at least 2 hours- timing will vary based on curly type, length and density. Thick or Extra Long Hair will be an extra charge of QR50 to QR100 added to the above rates. You have already been to us for the initial Signature Curly Cut which included a lesson on all things curl related. 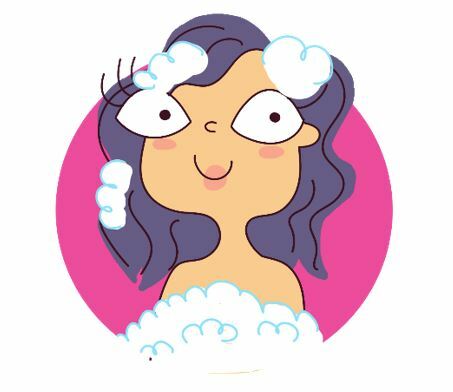 We already taught you how to care for and style your curls, so now you just need those curls freshened up! Includes a cut, hydration, and style. This is the perfect time to ask your stylists any questions that might have come up while you were styling and caring for your curls at home with the method we taught you, and ask for more advanced tips! Please note, this may only be booked after you have seen us for your first Curly Cut, and may only be booked at your stylists discretion. We have a sophisticated method of hand painting color. This technique was designed to replace conventional highlighting. This method captures and defines the movement and dynamism of each curl, allowing the colorist the freedom to trust their own artistic eye, creating the perfect balance between tone, and shape, light and shadow- amongst your curls. We use biodegradable papers during this process. Your curls deserve a treat. Book in for a Curl Steam + Deep Conditioning Hair Treatment. 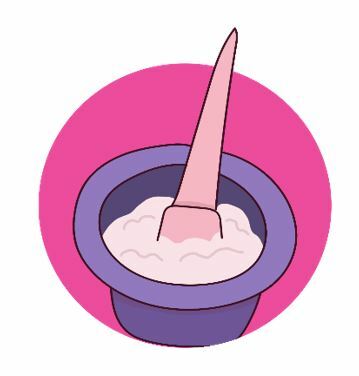 A steam treatment really helps to soften hair, making it much easier to get the hydration in while the cuticle is open. A absolute miracle worker! All curl types benefit. A twist out is a wet or dry styling set involving twisting two (or three or more) small sections of hair around each other, creating a distinct twist/curl/wave pattern. Can also be used for elongation. Especially popular with our super curly clients. Transitioning is the process in which steps are taken to stop relaxing or permanently straightening the hair, to allow the natural healthy texture to grow back. However, you will see curly roots and the rest of the hair length is straight. 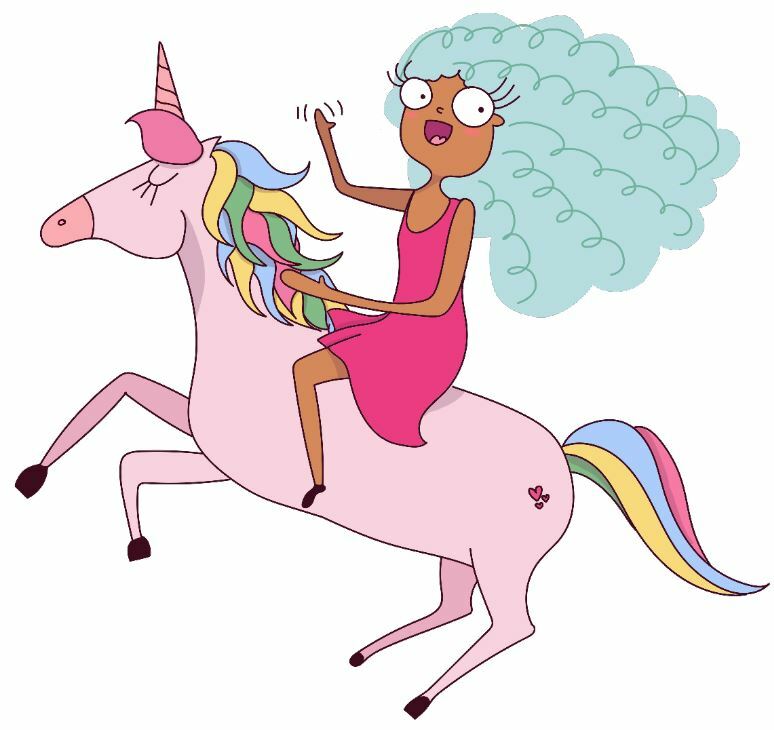 This takes place when a woman who has been chemically straightening her hair wants to return to being naturally curly. There are also situations where inconsistent curl patterns are due to pregnancy, hormones or medical treatments. Many clients struggle with transitioning hair. They feel they have no options. They think they must either accept the hair situation as it is, or straighten it, -or- the big chop… cut it all off! Sounds familiar? Don’t despair! Those days of suffering are over. For the first time ever, we have developed a solution for you. We have a safe no-heat option for you to wear your hair curly while you grow out your hair. If you are transitioning and want to be notified of our new service and retail kit when we launch it, please email us : hillary@glowamericansalon.net and ask to be put on our waiting list. We will contact you once this exciting solution is ready! Have a favourite curly service? You choose what you save on. It can be anything. For example, you love our Hydrate and Style service, or maybe you love our Signature Curly Cut- now you can buy a package and save!